Gastrointestinal metabolic surgery has been proposed for the treatment of not well-controlled type 2 diabetes mellitus (T2DM) patients with a body mass index (BMI) <35 kg/m2. This study aims to describe recent experience with surgical treatment of T2DM in Asian centers. Patients aged 20 to 70 years with not well-controlled T2DM [glycated hemoglobin (HbA1C) >7.0%] and BMI < 35 kg/m2 were included at five institutes between 2007 and 2010. The end point is T2DM remission, defined by fasting plasma glucose <110 mg/dl and HbA1C <6.0%. Of the 200 patients, 172 (86%) underwent gastric bypass, 24 (12%) underwent sleeve gastrectomy, and the other 4 underwent adjustable banding. Laparoscopic access was used in all the patients. Gender (66.5% female), age (mean 45.0 ± 10.8), and HbA1C (mean 9.3 ± 1.9%) did not differ between the procedure among the groups. Until now, 87 patients had 1-year data. One year after surgery, the mean BMI decreased from 28.5 ± 3.0 to 23.4 ± 2.3 kg/m2 and HbA1C decreased to 6.3 ± 0.5%. Remission of T2DM was achieved in 72.4% of the patients. Patients with a diabetes duration of <5 years had a better diabetes remission rate than patients with duration of diabetes >5 years (90.3% vs. 57.1%; p = 0.006). Patients with BMI > 30 kg/m2 had a better diabetes remission rate than those with BMI < 30 kg/m2 (78.7% vs. 62.5%; p = 0.027). Individuals who underwent gastric bypass loss more weight and had a higher diabetes remission rate than individuals who underwent restrictive-type procedures. Multivariate analysis confirmed that the duration of diabetes and the type of surgery predict the diabetes remission. No mortalities were reported and two (1.0%) patients had major morbidities. 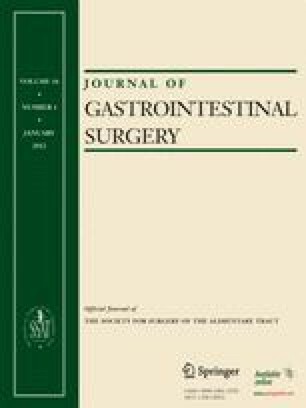 Gastrointestinal metabolic surgery is an effective treatment for not well-controlled T2DM treatment. Diabetes remission is significantly higher in those with duration of diabetes less than 5 years and BMI > 30 kg/m2. This work was supported by the grant from Ming-Shen General Hospital (99-A-01). Dr. Patrick M. Forgione (Burlington, VT): Thank you for submitting this excellent and provocative study. You and your group should be congratulated for this collaborative, multi-institutional effort involving 200 patients. This study shows that metabolic surgery is an effective treatment for poorly controlled type 2 diabetes in those who had diabetes for <5 years with BMI greater than 30. I think most would agree, and as you pointed out in your manuscript, that although successful in this population the follow-up was short, 1 year; that these conclusions were based on 87 of your 200 (46%) patients and need longer term data to make any formal recommendations. I have several questions. In your manuscript, you state the endocrinologist and the surgeon co-determined when the patients were ready for randomization, yet based on the unequal distribution of your procedural groups, it is hard to believe this occurred; therefore, how were the patients assigned to the procedural groups? Your study showed that patients who underwent a restrictive procedure and had a BMI < 30 did not do as well as those who had BMI > 30 and who underwent a gastric bypass. Since we know that in the bariatric population the duration of diabetes is a negative preoperative indicator as to how well a patient will do postoperatively with regards to remission of type 2 DM, and since duration of diabetes was not equally distributed between the procedural groups, is it possible that those with BMI < 30 who had restrictive procedures simply had a higher percentage of individuals with a longer duration of diabetes in their groups and subsequently poorer response rates? Thank you and the society for the opportunity to review your manuscript, I look forward to your response. Dr. Wei-Jei Lee: Thank you for this excellent discussion. And yes, there is one particular weakness to this paper insofar as that the follow-up is short. We intend to include more patients and continue to follow-up these patients up to 5 years. Maybe we can have a final conclusion at that time. With regard to your first question, this is not a randomized trial. The endocrinologist, surgeon, and patient co-determined the operation after detail discussion and analyst. That is why we can only have a limited number in restrictive-type procedures. The majority choose gastric bypass because of the higher resolution rate of diabetes treatment. With regard to the second question, it is true that lower BMI patients had a longer mean duration of diabetes. That is why BMI itself is not an independent predictor for diabetes remission after metabolic surgery by multivariate analysis of decision tree analysis. However, we need more cases and longer follow-up to make a final conclusion.